Uganda’s finance Minister, Maria Kiwanuka arrives with a suitcase containing the Uganda budget 2011/2012 at the Serena Hotel Kampala where Parliament had convened on June 8, 2011. Uganda’s Finance Ministry cut its growth forecast for the 2010-11 fiscal year to 6.3 percent following a slump in the production of cash crops because of poor rains. 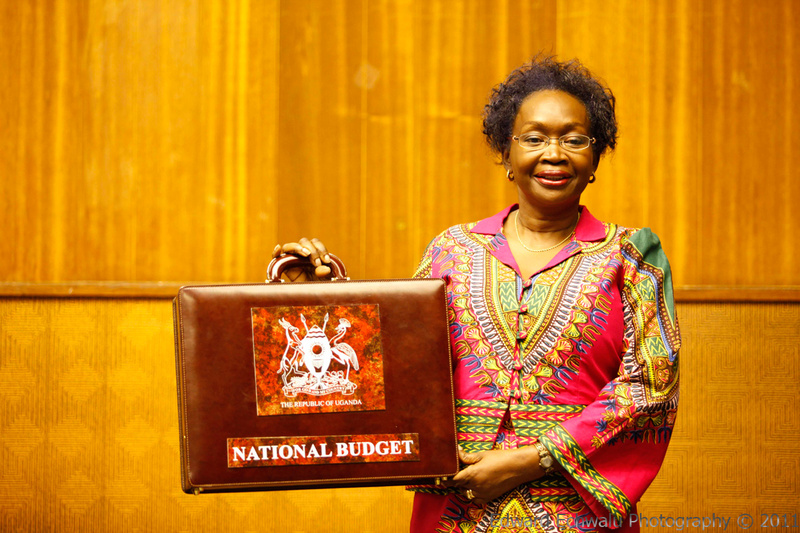 Uganda’s finance Minister, Maria Kiwanuka arrives with a suitcase containing the Uganda budget 2011/2012 at the Serena Hotel Kampala where Parliament had convened on June 8, 2011. Uganda’s Finance Ministry cut its growth forecast for the 2010-11 fiscal year to 6.3 percent following a slump in the production of cash crops because of poor rains. 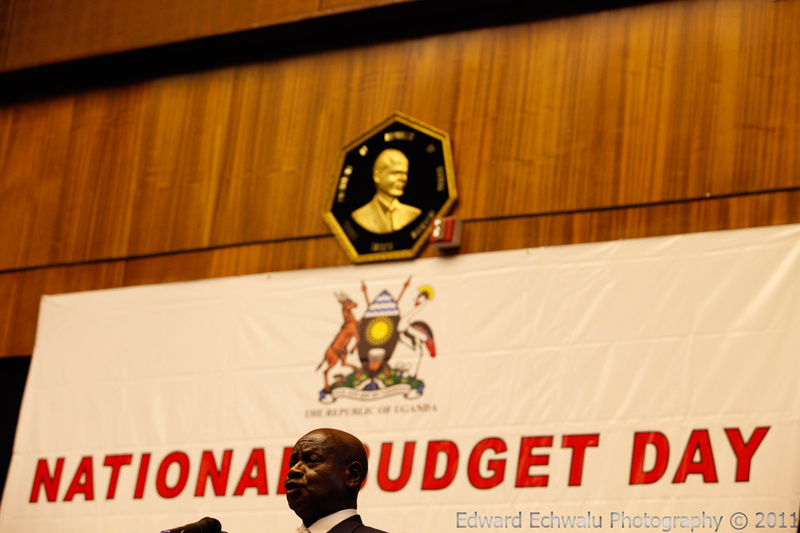 Uganda’s president Yoweri Kaguta Museveni makes his remarks at the presentation of the country’s budget for the 2011/2012 financial year at the Serena Hotel in Kampala, Uganda’s capital on June 8, 2011. Uganda’s Finance Ministry cut its growth forecast for the 2010-11 fiscal year to 6.3 percent following a slump in the production of cash crops because of poor rains.